Augmented Kiteboarding: Technologies for Extreme Contexts – ixd! In modern sailboats, a student can learn with the guidance of an instructor who sits beside them and can take control of the vessel as needed. In kiteboarding, which is another form of sailing, the instructor and student are separated by a distance making this “hand-over-hand” training impossible. A) Instructor with an input bar and student with the augmented kite control bar, which share position information B) Instructor moves the input bar resulting in vibrotactile guidance to the student. C) student responds to the strength and direction of the vibration to achieve the target position and a separate confirmation pulse is provided when the target is reached. Our approach has been to explore alternative modes of communication between the instructor and student to provide guidance using non-verbal directional cues. 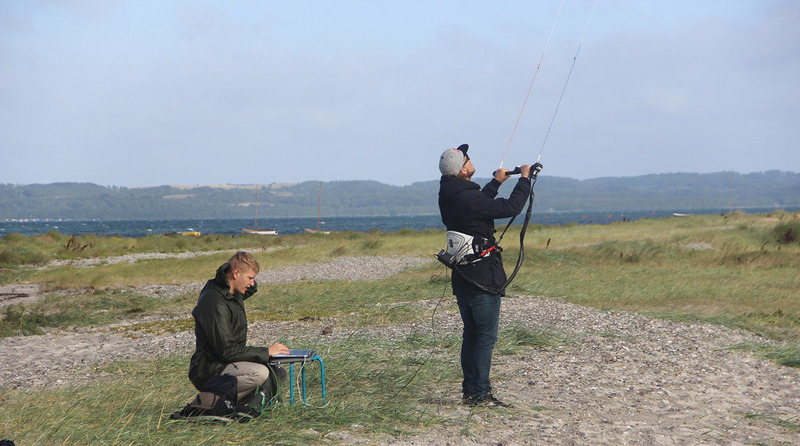 This research is conducted by HCI researchers who are avid kiteboarders recognizing the potential of digital technologies as a means to support beginners and experienced riders in this growing extreme sport. We have been working closely with kiteboarding instructors, riders, and manufacturers in the development of functional prototypes. Tactile communication kiteboarding bar prototype senses the bar position and provides vibrotactile cues to guide the kiter in the positioning of the bar. 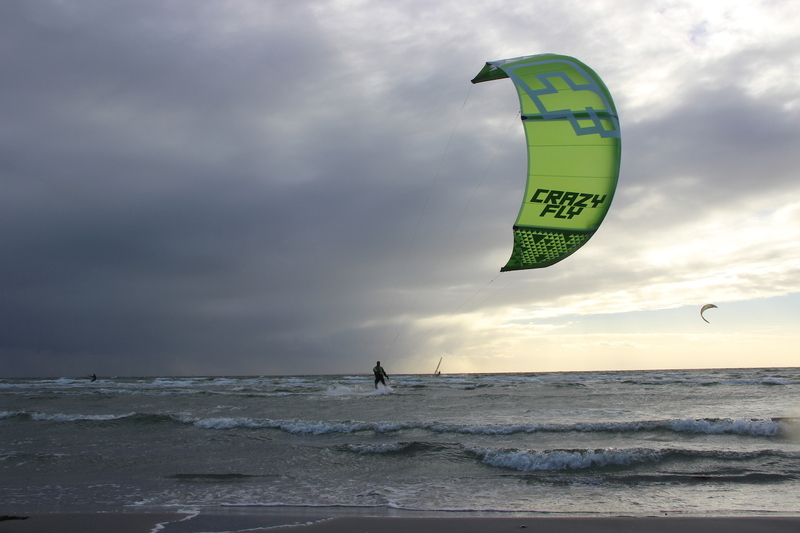 We thank the CrazyFly Kiteboarding company for their input and support! Augmented kiteboarding gear enables riders to communicate, learn, improve, and excel with navigation and execution of tricks. We are exploring various embedded and wearable technologies and combinations of techniques to extend the senses, guide riders as they progress, and increase the safety of the sport. Schmidt, A., Kleemann, M., Merritt, T., Selker, T., Tactile Communication in Extreme Contexts: Exploring the Design Space Through Kiteboarding. Accepted for inclusion in Proceedings of INTERACT2015. Bamberg, Germany. André Schmidt and Mads Kleemann wrote their master’s theses on the topic of tactile communication in extreme contexts. 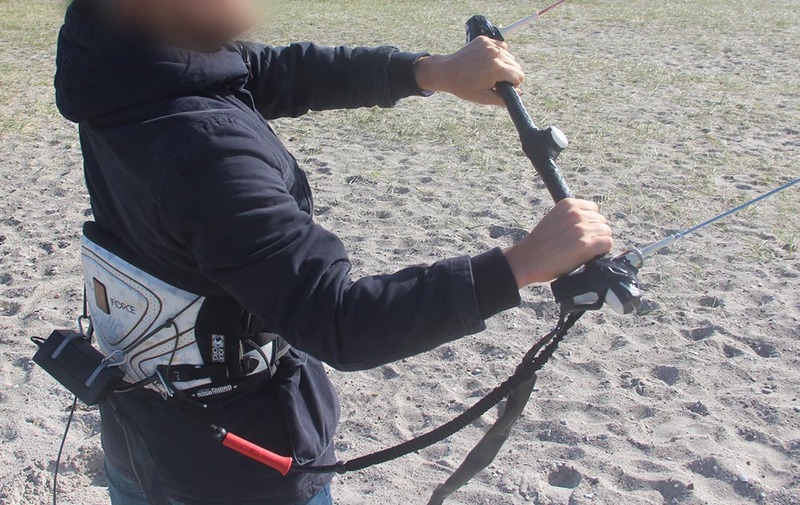 We are developing additional sensing and actuation strategies to support performance and communication in the extreme context of kiteboarding and other situations in which voice communication is not possible.